On July 26, 2013 lightning crashed down on northern Josephine and southern Douglas Counties in Oregon, starting numerous wildfires in the Cow Creek and Rogue River Watersheds. 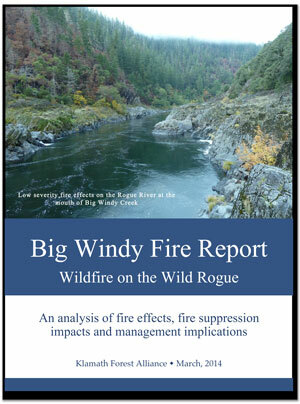 Three small fires were lit in the tributaries of the Wild & Scenic Rogue River. These three fires—west to east—including the Calvert Peak Fire, the Jenny Fire, and the Big Windy Fire, all burned in relatively remote and inaccessible terrain. In early August 2013 these three fires were declared a “complex” with one extensive fire perimeter; later these fires merged, yet in some places never burned to the officially declared fire perimeter.